Who determines whether your work is worthy? 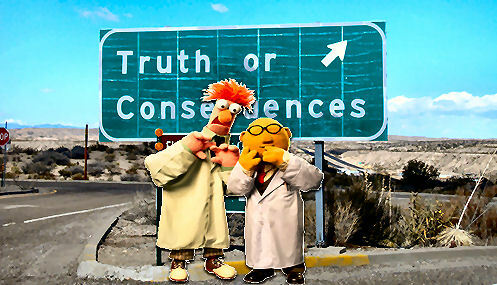 Max Planck's adage should therefore be amended to read that "A new scientific truth does not triumph by convincing its opponents and making them see the light, but rather because its opponents eventually die and a new generation grows up that is familiar with it --- and by being adequately funded and promoted by people who incarnate Dale Carnegie's formula for success." Let me share my cynicism about the role of funding and politics in assigning value to new ideas. I wished I had $. I am quite financially stressed, and after phoning a travel agent, and Kelowna Tourist bureau twice over the last 3 days, I informed my ally in mischief, Madeline Weld, that I probably can't make it to that Kelowna CSEE conference. After 6 years of full-out activism I have come to a jaded conclusion about the value of conferences. As JK Galbraith said of them, they take place to simulate action. They are more like revival meetings in that their real purpose is to allow the devout to meet folks of their own kind and be assured that they are not alone--and with their morale thus boosted, return home with a false sense of momentum and confidence. Nevertheless, I have also noticed that attending conferences is mandatory for those who want their papers and books published and well reviewed. Successful authors must physically meet with their peers, look into their eyes, shake their hands, tell them jokes, exchange small talk, and form a 'relationship' with them over the buffet table or dinner afterward. Once they have done that, then anything they subsequently write will be elevated to a stature that is not merited by its contents. For example, I would wager a fair sum that if I were to submit a set of articles to one group---the control group---with my name on it, and a second set of identical articles to a second group with let's say, William Rees' name on it, the latter group would instantly proclaim my articles a masterpiece, while the former would likely ignore or dismiss it. Several examples could be summoned to validate this belief, but two will suffice. Author Doris Lessing found that once she reached celebrity, her manuscripts were greeted with enthusiasm and her not-so-brilliant books were assured of wide purchase. So as an experiment, she wrote a story under a pseudonym. It was largely ignored. Coincidence? I think not. Another case---Chris Clugston. He has been saying essentially the same thing for five years, but for the first four of those years the people in my network more or less refused to acknowledge his facts and insights, preferring instead to stick with limited eco-footprinting analysis. Call it 'brand loyalty'. ("GPS? No thanks, I will stick with my compass"). Once his work finally percolated up to the organizational top dogs in the network, and once they endorsed it after reading William Catton's endorsement---they suddenly felt able to give him the seal of approval--though they remain true to their fixation on energy and climate change. Call that peer pressure and group-think (as documented by Solomon Asch's research). Chris's problem was that for those first four years he didn't attend any conferences. People heard of him but they had never met him. But things changed after that. Of course, if his work was utter nonsense, it is unlikely it would have reached that pinnacle. But that is not my point. My point is that a great many people with important and revolutionary concepts that are well articulated remain unknown simply because they lacked the means or the connections to meet the "right" people or the good sense not to offend their egos. Not the smart people, but the influential people. The principal rule is "Thou shalt not trespass revered icons". You must spend a good two paragraphs grovelling before their achievements, thanking them for their past contributions, and genuflecting in their direction, but you must never ever challenge their obsolete shibboleths. (Now repeat after me, "We must educate and empower women", "couples must be free to choose their family size", "we must return to a sustainable population level of 2 billion", "we must stop growing") There is no new knowledge, only revealed truth. The truth according to Ehrlich, Brown, Bartlett, Rees and Wackernagel. Our movement is much like a monarchy. You do not displace those in the pantheon or their staid commentaries, you can only out-live them. They will be celebrated by the guardians of orthodoxy in the organization's hierarchy until they pass. Challenge them and you and your ideas will be banished to the margins. You must play the game and waste precious time earning brownie points with mediocre minds who achieve job security by spouting the party line for organizations dedicated to not solving the problems that sustain donations. They are our priesthood. In other words, there is a class of people in our movement I call "schmoozers", who make a lifestyle of resting their comfortable arses in DC or jet-setting around the continent (or the world) attending conferences, and come to form a sub-culture of insiders who use their political power within the movement to act as arbiters and filters of incoming ideas. Good luck to you if you have something novel or important to say but haven't run their social gauntlet or been personally vetted by them. And how do you get vetted? By going to conferences and glad-handing them. If you lack the financial means to go to conferences, your ideas are essentially quarantined. It's a good thing that somebody gave Einstein the dough to travel or we would still be clinging to Newtonian physics--the EFA of the scientific establishment until the 1920s. I have a suspicion that many of the ascendant ideas in science---or any field---owe as much of their success to politics and funding as to anything else. That surely can't be regarded as an earth-shattering revelation, but it think it has never been more true than it is now. Max Planck's adage should therefore be amended to read that "A new scientific truth does not triumph by convincing its opponents and making them see the light, but rather because its opponents eventually die, and a new generation grows up that is familiar with it --- and by being adequately funded and promoted by people who incarnate Dale Carnegie's formula for success." Money rules, and the ideas of paupers languish. If you sense some bitterness in this observation, your sense is correct. PS Something about American culture puzzles me. In American professional sports, for example, if a team consistently posts a losing record, you can expect that the coach or manager will be fired. Good intentions, strong efforts, and bad luck are inadequate excuses. Only results count. It's a tough business. Yet there are people running organizations like Numbers USA, Fair, or the World Watch Institute who have remained in the saddle drawing handsome salaries for DECADES while the population of the United States and the world has grown leaps and bounds unchecked. Shouldn't their careers and their organizations carry an expiry date? Shouldn't they be held accountable for futility? Either their message is wrong or their ability to convey that message is faulty. It would be bad enough if failure was their only sin. But it is worse than that. They have all actively attempted to push alternative ideas and approaches off the stage in order to maintain their monopoly of the cause, managing the problem rather than addressing its root cause in order to milk a limited donor basee. They are living validation of Michels' Iron Law of Oligarchy.